This week Apple launched a pair of repair programs for some iPhone X and 13-inch MacBook Pro models, reviewers have been going at the new Apple hardware with in depth reviews, and Uncle Tim promised money for the wildfires in Califonia. Meanwhile Samsung showed off a face to face folding screen (just about) and Xiaomi are coming to the UK hoping to take on Apple and Samsung. 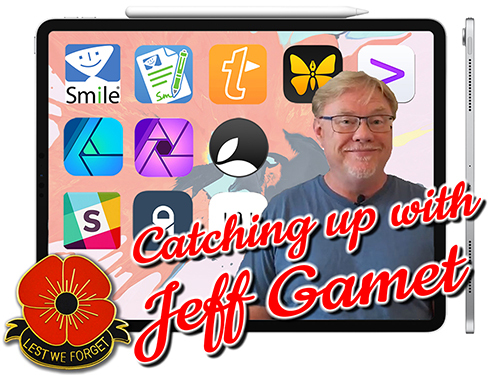 I am joined by guest Jeff Gamet formerly of the Mac Observer and now with Smile Software, and Mark and I are keen to get the full story on that from the horse’s mouth; as well as to discuss all the other news. DONT FORGET THE JOE KISSELL OFFER… 30% OFF any Take Control purchase before November 30th with this link 30% Off or use the code ESSENTIALAPPLE at checkout. Former Managing Editor at The Mac Observer and co-host of the Apple Context Machine Podcast. Updog Toys Odin A treat dispensing dog toy with a modern, modular design. $23 US Amazon It is on Amazon UK from third party sellers, but they are asking £69!! !